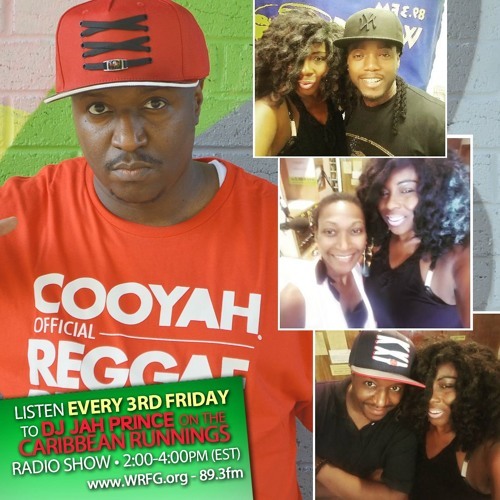 This two-hour radio program features an interview with @Kiprich-Official and new music from Spiritual, Etana, Beres Hammond, Vybz Kartel, Romain Virgo. Caribbean Runnings is Atlanta's longest-running and #1 Caribbean radio program! The show airs each and every Friday from 2-4PM on WRFG 89.3FM Atlanta and streaming online at www.wrfg.org. 89.3FM provides a voice for those who have been traditionally denied access to the broadcast media and the involvement of a broad base of community elements to guarantee that access. Caribbean Runnings plays handpicked reggae, soca, dancehall, calypso and more! Our past guests have included top names in the Caribbean music industry. We also discuss pertinent and relevant political and social issues affecting the Caribbean diaspora.